Monsters are invading from across the fence! Ignore their mischievous laughter and smack 'em by either clicking or tapping. But beware: if you allow any monsters across or touch the harmless cats and dogs, your smacking spree ends at once. 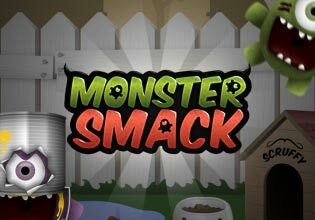 Can you exceed you your previous highscore and evade the monsters' insulting comments?